Nestled in 186 acres of rolling parkland near the heritage town of Trim, Knightsbrook Hotel Spa & Golf is a luxury resort unlike any other, and is conveniently located a mere 35 minutes from Dublin City Centre! 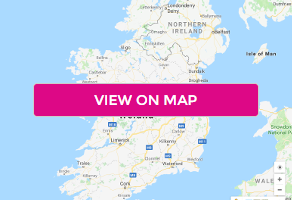 You can also experience the history and magic of the Royal county with ease as The Hill of Tara and Bective Abbey are within a 20-minute drive! The very epitome of luxury accommodation, each deluxe room has been individually designed and beautifully furnished with all the facilities a discerning guest requires including en-suite bathrooms, flat screen television, 24-hour room service and WiFi. The Rococo Restaurant offers the perfect fine dining experience, with dishes consisting of imaginative Irish and international cuisine. One mouth-watering course after another will tantalize your taste buds! The Terrace Lounge provides a more informal venue to relax and take it easy, with incredible views over the grounds to take in as you sip on a refreshing drink or enjoy a bite to eat. Recently named one of the top 5 spa hotels in Ireland by the IBPA and nominated for the best overall Irish health spa hotel by the Irish Tatler Magazine, The River Health Spa is a holistic cultural venture that draws from rich ethnical roots and combines it with modern science to arrive at a comprehensive treatment structure. The Health Club boasts a state of the art gymnasium, 17-metre deck-level swimming pool, heat treatment rooms and two fitness studios. Golf and spa treatments must be made in advance. Please email golf@knightsbrook.com for the Golf or theriverspa@knightsbrook.com for Spa Treatments. 3 Course Dinner is in Rococo Restaurant on one evening of your choice and is a from a set Three Course Early Bird Dinner Menu. Please contact Rococo@knightsbrook.com for bookings.